In this day and age, the use of the internet is at an incredible high. We use the internet for all kinds of things; communication, research, socializing, exploring, making money and healthcare among other things. But even as you use the internet, do you know how safe you are? Like other aspects in life, you need to browse the internet knowing you’re safe and that your data; which is your most important resource, is safe from all manner of attacks. The number of cyber crime reports on companies especially has risen in the past decade with most crimes reported as identity theft, theft of financial records and other crucial information. Are you really ready to leave your data bare and out in the open? Imagine losing contracts, business contacts, plans, business tax records, client’s; financial information among others all in one day. Catastrophic isn’t it? ~ Cyber crime is one of the fastest growing crimes in the world; and we are still a long way from setting up sustainable systems to curb it. There are very few cyber crime cases that have been convicted since most of these people don’t leave a digital footprint making it hard for the respective institutions to catch them. In Kenya for instance, it is very hard to get a cyber crime case convicted in court since our systems are not that developed yet. ~ Cyber crime is usually the last thing a company wants to think of. Imagine waking up one morning to find they’ve been compromised. That’s a nightmare no one wants to go through. It may seem like something only large corporations would ever need, or could ever afford because of protecting their image in the long run but a company’s reputation is too costly to put into chance and a brand simply cannot afford to have customers lose their trust in them and cyber security covers that cost. ~ Cyber crime can affects everyone, from individuals to big organizations. According to Serianu’s Cybersecurity Report 2016, African countries lost at least $2 billion in cyberattacks in 2016; meaning cyber insurance shouldn’t be at the bottom of the financial food chain; it should be every organization’s business priority. 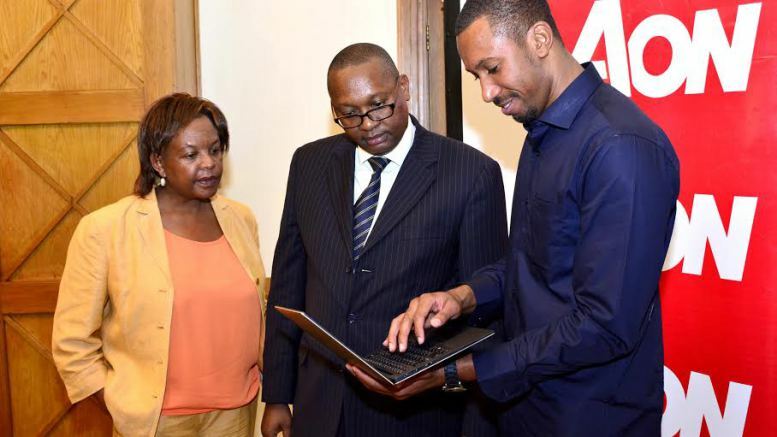 ~ More than 75.3% of Kenyan citizens are formally included in financial services through financial technology, owing to the rise of digital services in banks these days, and one would logically expect a significant increase in cybersecurity investments in the financial services sector. Regrettably this is the opposite in the case of Kenya, meaning more and more people are at the risk of having their data (third-party information) exposed leaving them liable to the loss of this information. ~ Did you know that even in the case of a data breach where you lose your customers information, you are still held liable even if you don’t host the data yourself? When your customers come to you, they trust you with their private information and in case of any cyber crime event, you are responsible for it. Insuring your data means you don’t have to rack your brain in figuring out how much money and time it would cost you with privacy laws and data breaches. Most of us realize what a catastrophic loss a hard drive crash would be to a business, but we never give a thought to the personal loss it would cause. So don’t take the risk, get yourself the AON Insurance Cover and keep your data insured against whatever may come your way. Read about why cyber criminals are matching on so brazenly and why the world is having a hard time keeping up.